My 7 year old Granddaughter loves her costume. I took a picture with her in it on my cell phone but forgot how to upload it on my computer sorry! Beautiful cosume, i took medium and it's a little bit small. 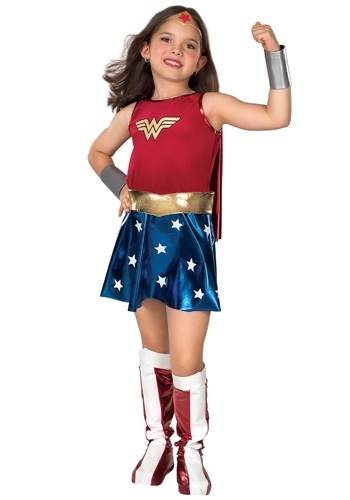 THIS WONDER WOMAN(GIRL) WAS READY TO SAVE THE WORLD! THE COSTUME FIT PERFECTLY AND MY DAUGHTER LOVED IT!!!!!!!!!!! !